We’ve come a long way from 2010 with high vacancies and low rents. 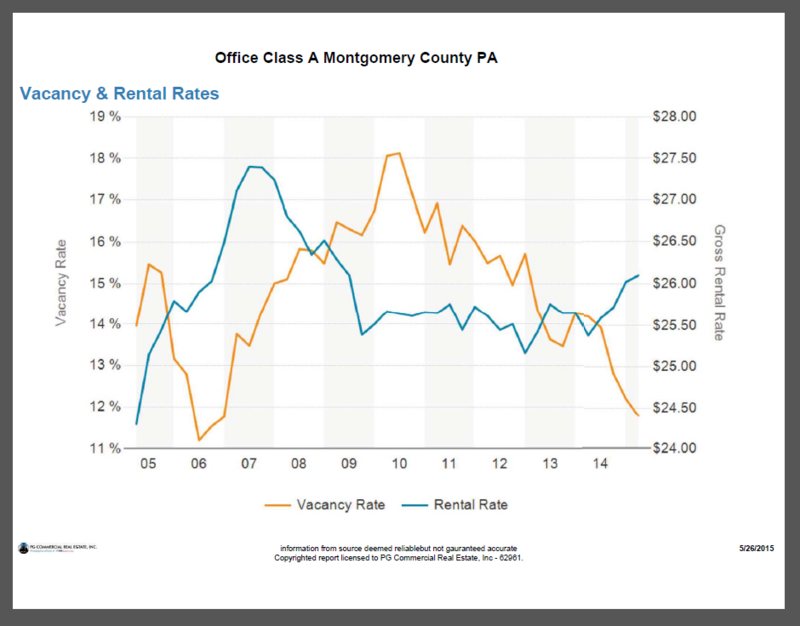 Today in Montgomery County Pennsylvania the trend line shows more demand for Class A Office Buildings than for the category of all office building types. Comparing Trend lines in the graphs below you can see a clear difference between the trend line for the average Vacancy Rate 11.8% and the Rental Rate of $26.10 per square foot per year plus electric, versus the trend lines for the averages for all Office, A,B,C. 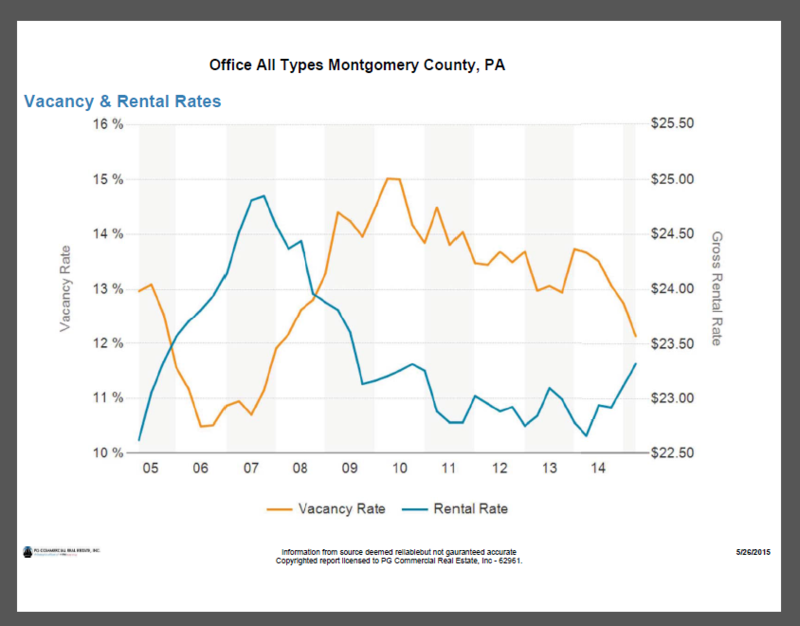 When all types of Office Buildings are added to the survey the trend line of the averages changes to a Vacancy rate of 12.1% and a Rental Rate of $23.32 per square foot per year plus electric. Of course there are ten times as many buildings in this survey of all different sizes and qualities. The survey of the Class A Office buildings consisted of 216 buildings. Over all it is easy to see that demand for Office space has continued to improve and rental rates are definitely on the rise. Put our expertise to work for you when faced with a search for an office location or a lease renewal.